There are many factors when someone is considering going abroad to get education; the country, the university, education quality, tuition fees, living cost, weather and so many other factors. I also had to consider all of them. I went through hundreds of university websites every day. What made University of Portsmouth stand out from other universities in United Kingdom was that this modern university is rising very quickly up in the ranking. University of Portsmouth has been constantly among the top universities considering student satisfaction. The library and the laboratories of the university seemed outstanding and as a potential MSC Electronic Engineering student, the library and laboratories had to be state of the art for me to consider the university. The tuition fee was very reasonable and on top of that I got a 10% scholarship for being a Bangladeshi student. The helpful staff at University of Portsmouth helped me with my enquiries very efficiently even before I applied. The application process was very easy and did not require any application fees. I received the response of my application within 3 days of applying which showed me the efficiency of this university. They kept making my decision easier for me as even they helped me find a house for me to stay in to make sure that I have a place to live in the moment I arrived in the United Kingdom. The visa application form of United Kingdom is not easy and the university staff helped me out with that every time I had confusion in answering something in the form. Even after all of that, I was in a bit of doubt whether I have made the right decision or not. There were a number of other universities that I could have chosen. But after I arrived in Portsmouth, whatever doubt I had went away. The campus of the university is magnificent. It is a city-based campus with different buildings around the city. Each building is a short walk from each other and walking around the entire campus area has been one of my most favourite activities since I have been here. The library is huge with every resource available for the students. The teachers are extraordinary and they teach with such passion that I have never felt like missing a single lecture. Both the academic and the administrative staff of the university have an open door policy for the students and they are open to all kinds of suggestions. I am in love with the city of Portsmouth. Coming from Dhaka, the peace and quiet of Portsmouth is quite welcoming. On the other hand living in a very buzzing city my whole life, I love the fact that Portsmouth isn’t too quiet. This city is vibrant when it needs to be. It is the only island city in United Kingdom and the seaside is just 10 minutes away from my house. The seaside of Portsmouth is absolutely stunning. The city is rich with history and I think it’ll take about a week just to see all the historic sites of Portsmouth. The weather is also very pleasant compared to other parts of United Kingdom. It is the warmest part of United Kingdom and coming from Bangladesh, it was easy for me to adjust here. Also London is just 1.5-hour train ride away. I go there whenever I miss Bangladeshi food. I like being this close to London with half the living cost of London. For the first time in my life I am having fun while studying. The classrooms and laboratories have all the modern equipment needed. It requires incredible amount of hard work to do good in studies over here but the teachers are other staffs are always ready to help. Overall, I can safely say I have made one of the best decisions of my life when I decided to come and study in University of Portsmouth. The concert hall at the Sydney Opera House holds 2,700 people. This blog was viewed about 8,600 times in 2015. If it were a concert at Sydney Opera House, it would take about 3 sold-out performances for that many people to see it. The next challenge will be about your university journey. If you are finishing this year how have your experiences shaped you since you first started those many years ago! Are you more mature? More independent? Did you overcome any obstacles to get to where you are now and what new things have you experienced? If you aren’t in your final year write about your journey so far and if you think things will be different when you finally do finish university. Make your posts engaging and be honest as well as encouraging. Is there anything you wish you could have done or glad that you have accomplished? This is a chance to reflect on your time here. This challenge is due on the 29th of May but I am aware that many of you would have gone home by then and may not be able to collect a prize so let me know if you would like the challenge to end sooner. 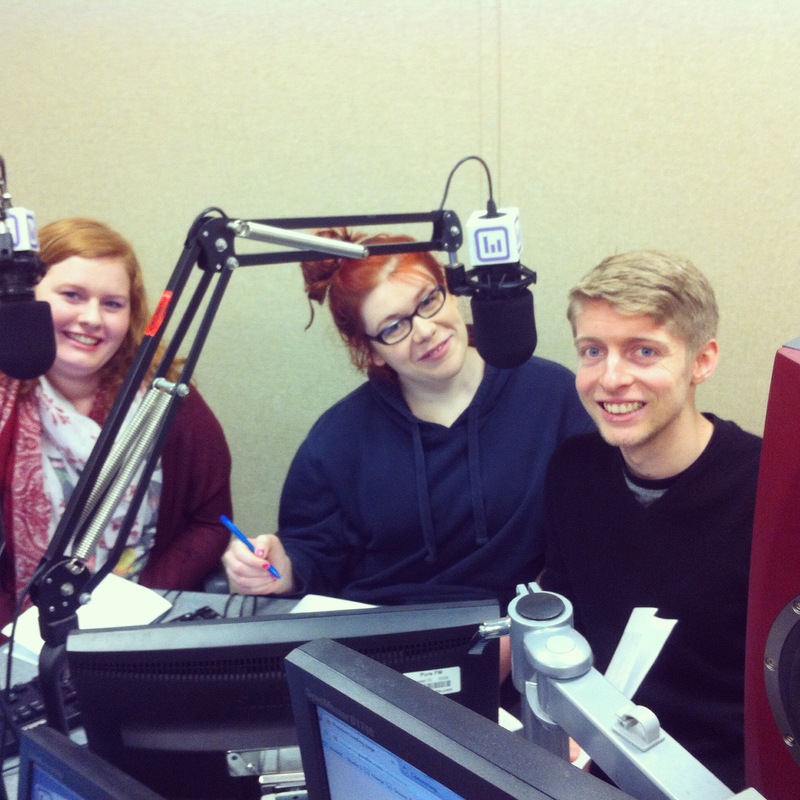 Some of the bloggers appeared on Spotlight on Pure FM radio this week to promote the university blog. They chat about what they like about blogging, the kind of things they blog about and their general student lives at the university.